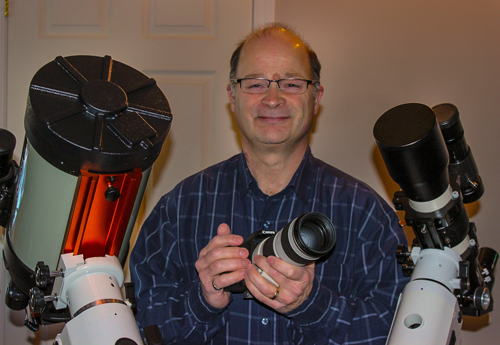 Note: For 2018, see Night Time Imaging with Paul Owen. 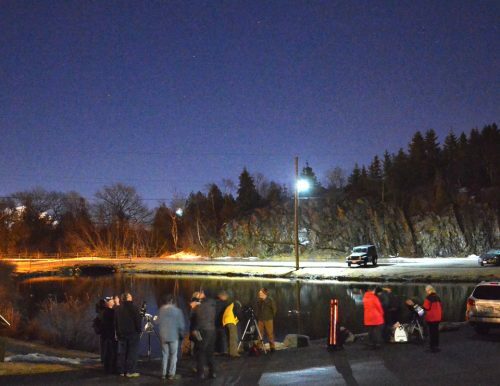 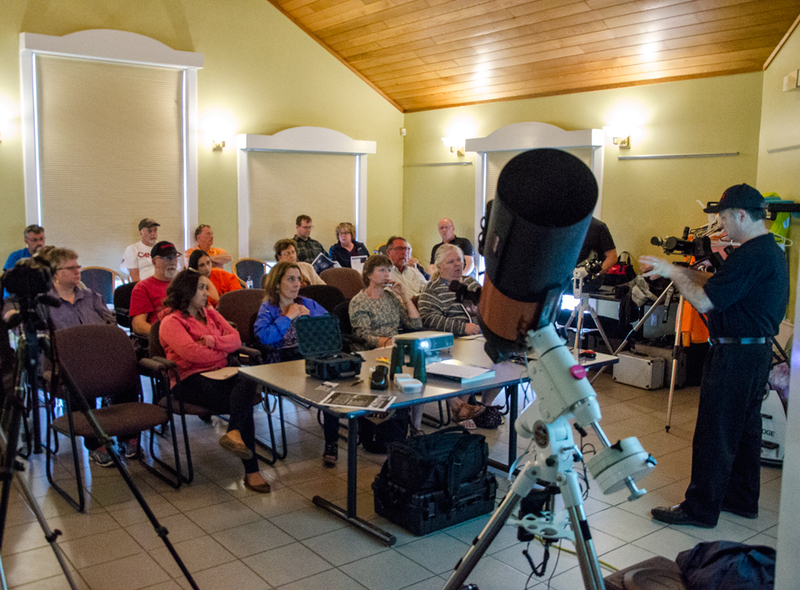 The Saint John Astronomy Club started a series of free astronomy workshops for both beginners and seasoned stargazers alike. 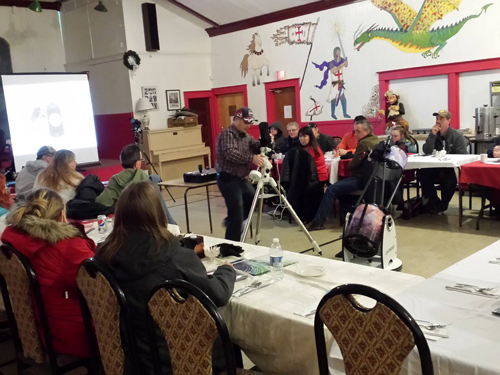 The first two in the series of interactive workshops were held at The Old St George Restaurant in west Saint John and were well attended. 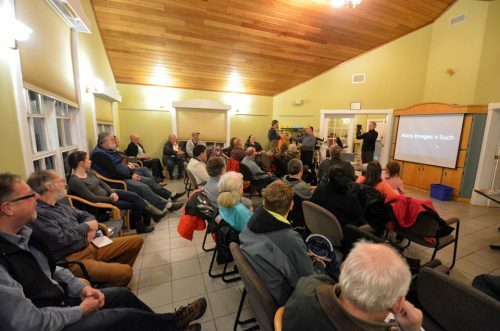 The 3rd through the 6th Workshops were at the Rockwood Park Interpretation Centre. 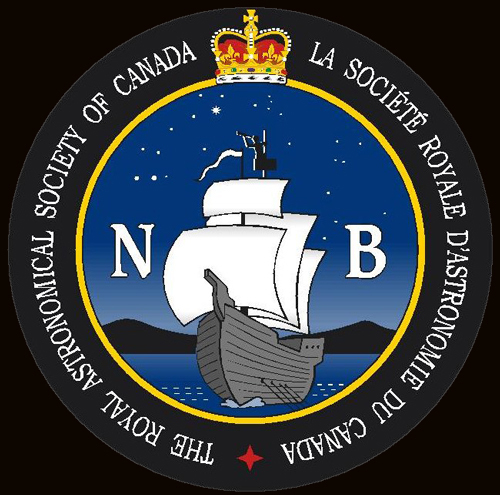 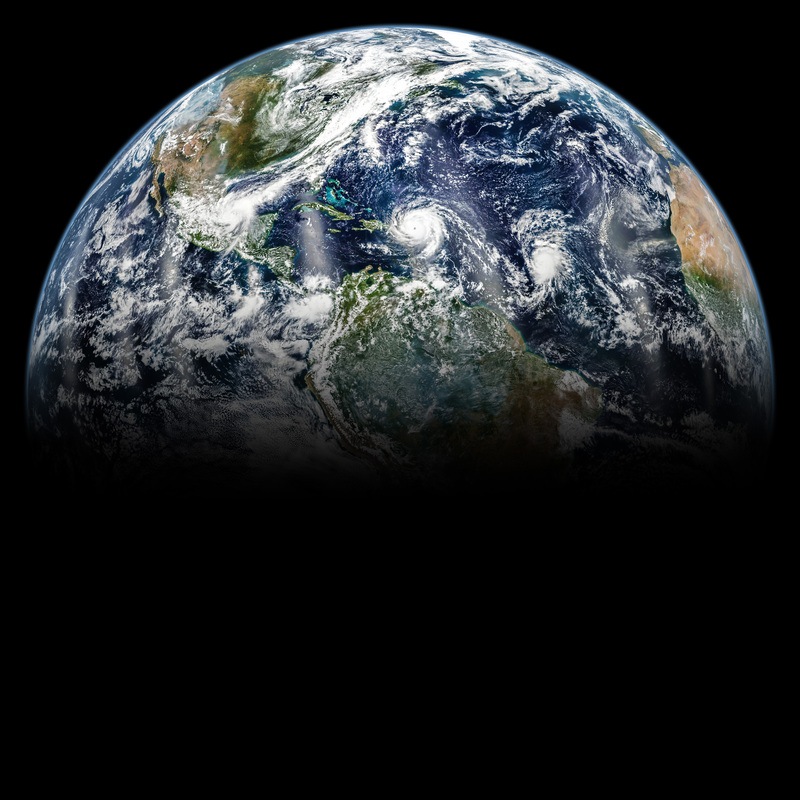 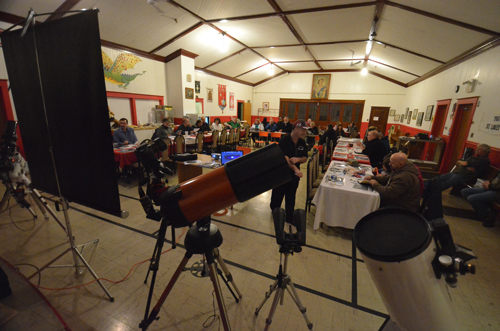 Members of the Saint John Astronomy Club and the Royal Astronomical Society of Canada (RASC) – New Brunswick Centre will be on hand to show you what to look for in your first, or next, telescope, or to help you get the most out of the telescope you have. 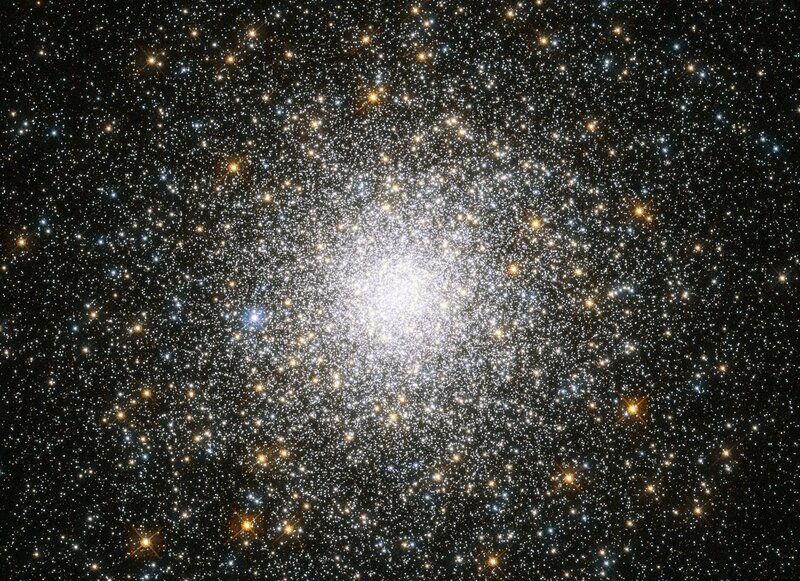 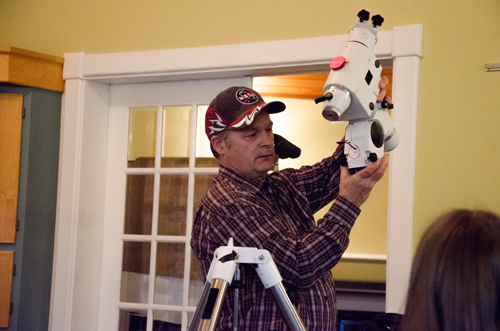 If you have a telescope, bring it along, and make sure you dress warmly, as, weather permitting, the workshop will include a hands-on observing session. 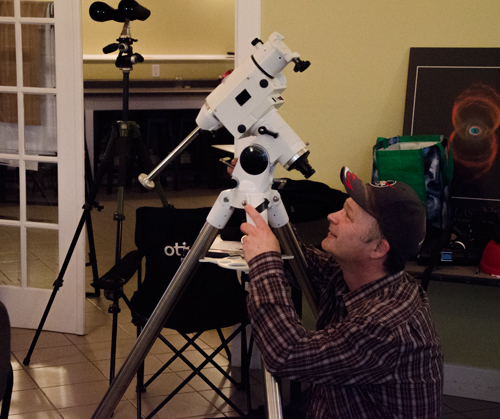 Future sessions will include the basics of astro-photography, observing with binoculars, time lapse photography, adjusting and maintaining your equipment, and more! 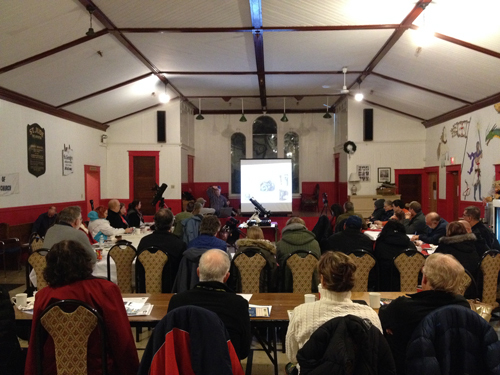 Like the 1st Workshop, the 2nd one in February was well attended. 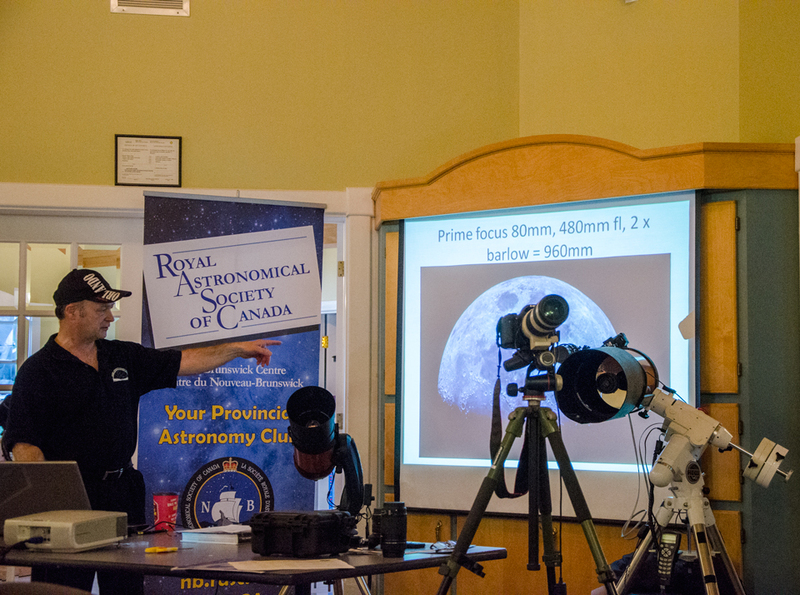 Paul gave an in-depth view on photographing the Moon with a variety of devices, including using iPhone adapters on a telescope. 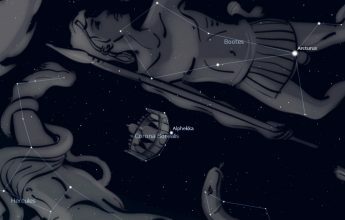 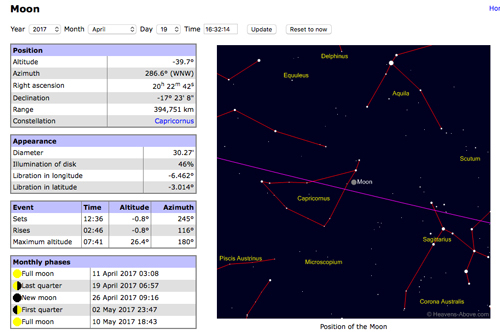 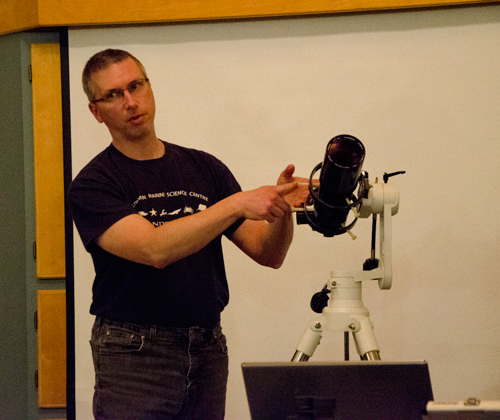 Chris Curwin also gave hints and an overall view using the free astronomy app Stellarium in night sky navigating. 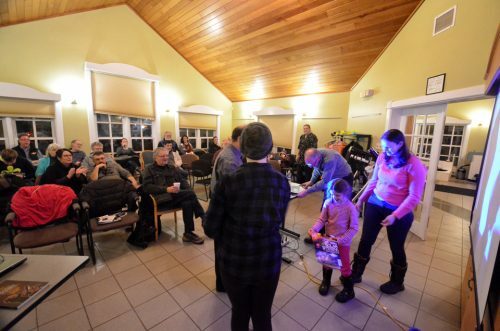 The Saint John Astronomy Club held its 3rd in the series of free interactive workshops at The Rockwood Park Interpretation Centre in St. John on March 8. 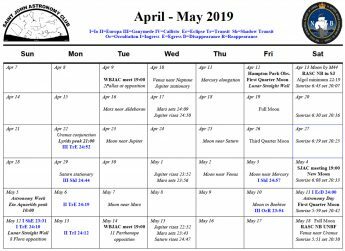 Next one will be Wednesday, April 12. 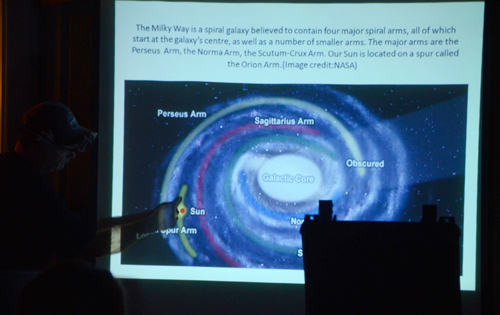 Paul Owen gave a presentation on Observing The Solar System and our position in the Milky Way Galaxy. 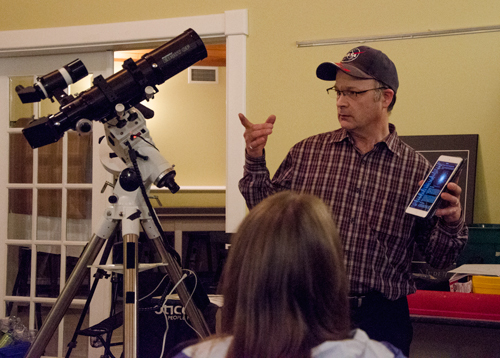 He talked about the various sizes of the Planets, Comets, the Astroid Belt, and what to look for. 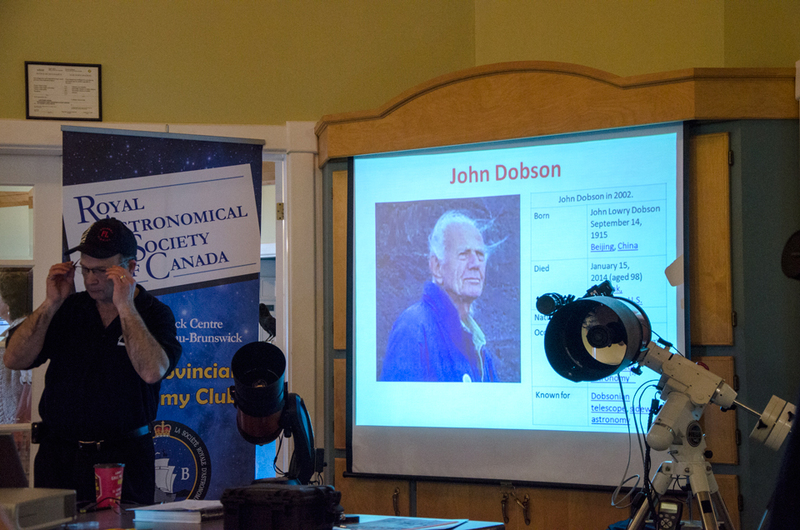 As usual, everyone always enjoys the prizes the prizes too. 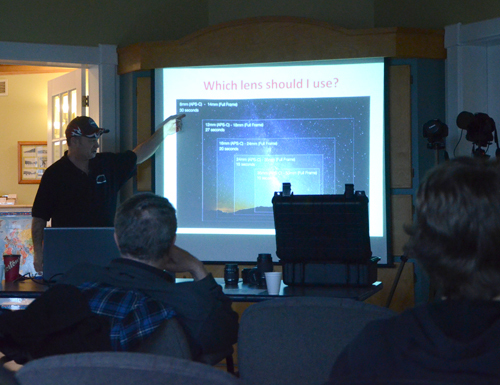 Chris Curwin from Astronomy by the Bay gave a talk on using various free software programs to help in observing the planets. 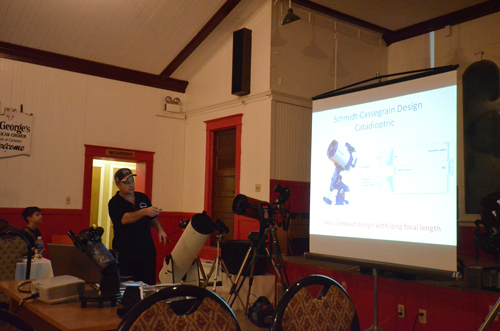 He talked about using Stellarium, Time and Date, and Heavens Above for help in navigating the night sky. 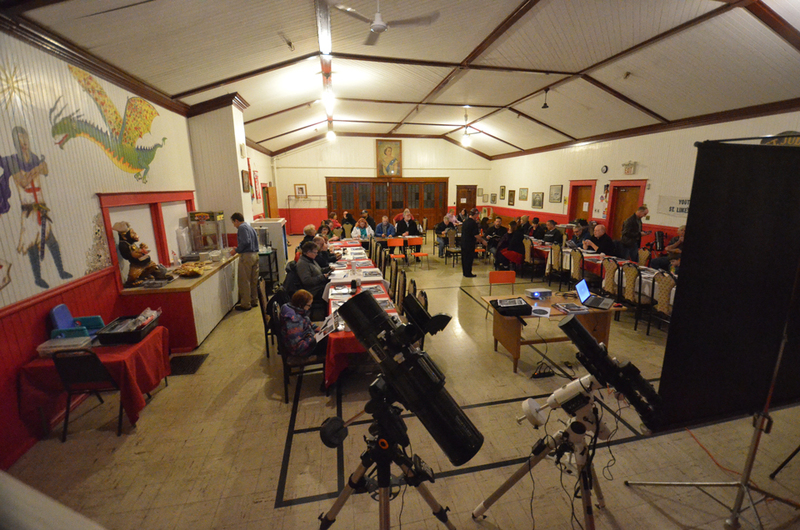 The skies cleared after a day of rain, drizzle and fog and we managed to work in some observing time after the workshop. 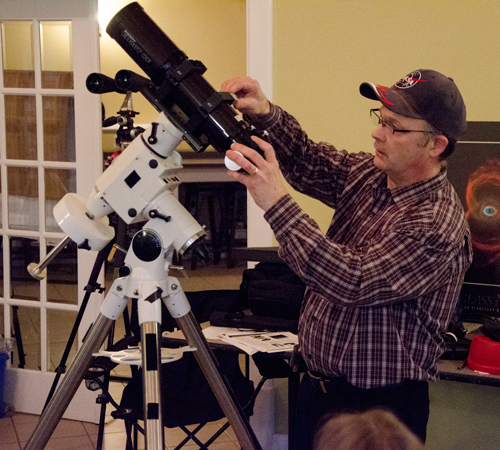 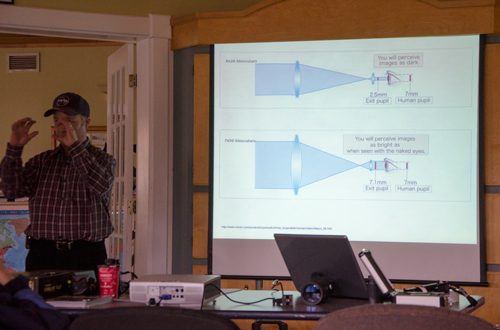 The 4th in the series of Free Astronomy Workshops was Wednesday, April 12 at the Interpretation Centre, Rockwood Park. 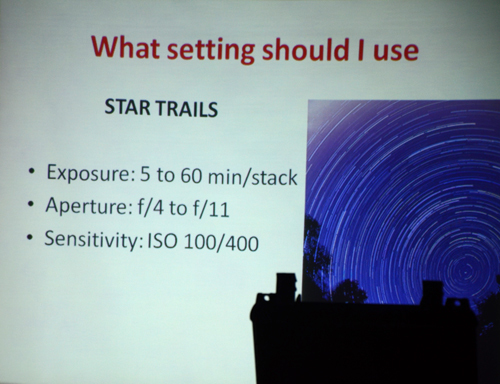 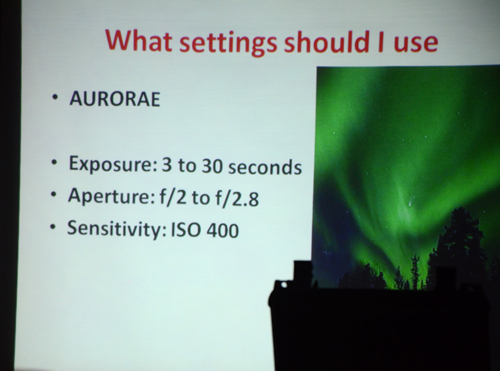 For this Workshop the Theme was Astrophotography: Part II –Using your DSLR, Nikon and Cannon free software, shooting Star Trails, the Milky Way, advantages of a modified DSLR, etc. 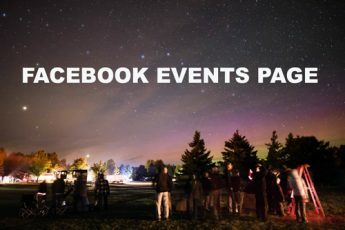 [photo above taken by Paul Owen]. 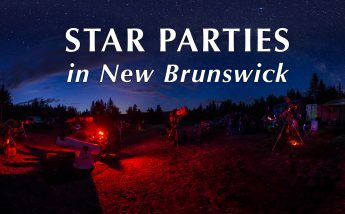 Also included was Star Parties, what they are, when they are. Weather did not permit Observing after. 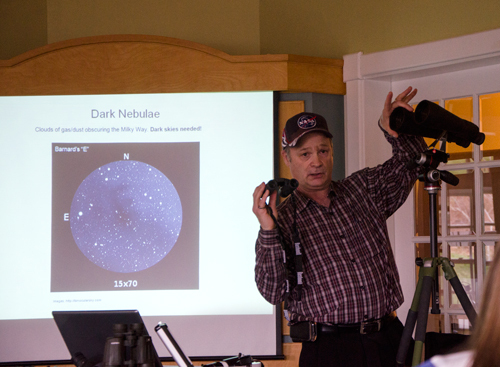 The 5th in the series of Free Astronomy Workshops was Wednesday, May 10th at the Interpretation Centre, Rockwood Park. 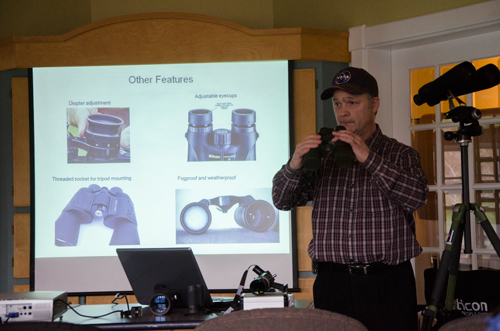 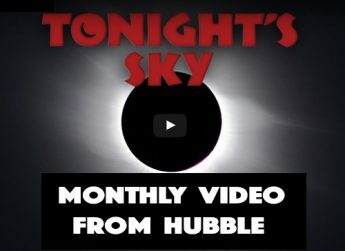 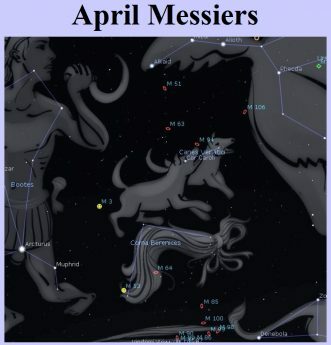 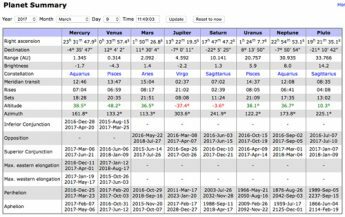 Paul Owen gave a comprehensive view of using Binoculars for night sky astronomy observing–how to use them, get the most out of them, and what to look for in buying. 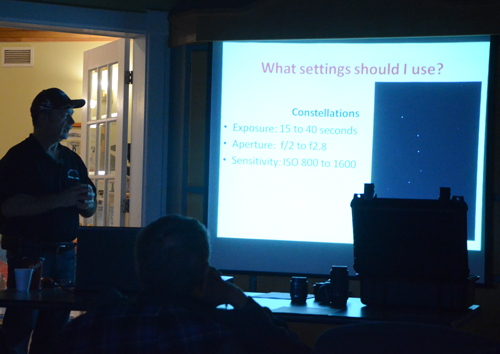 In the second part of the Workshop, Paul showed how he sets up an EQ (equatorial) mount, start to finish, for night sky viewing. 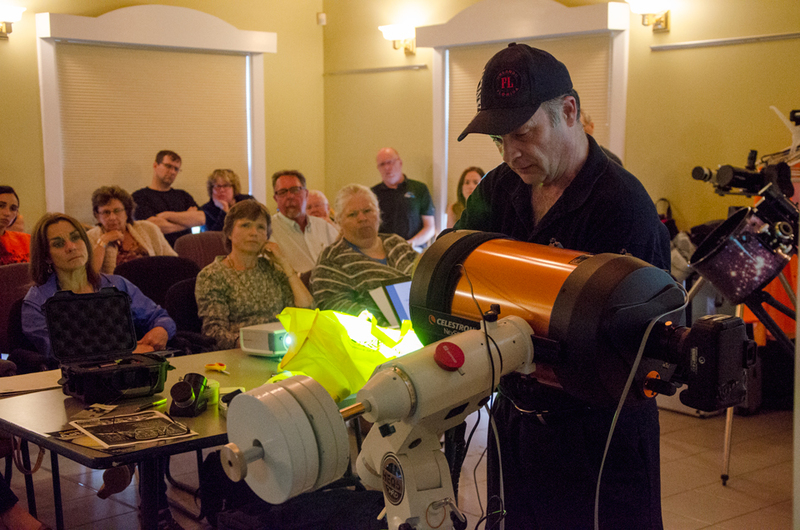 He also demonstrated how you can use a wifi connection and free software for controlling the scope and giving you more information about objects in the night sky. 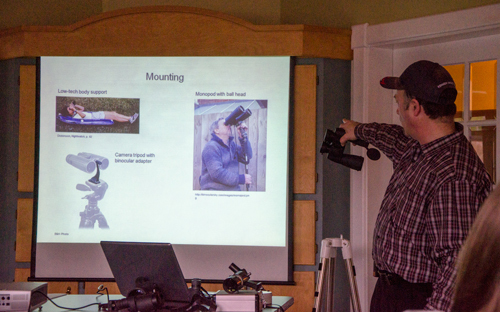 Above–Matt West shows his scope mounted on an Alt-Azimuth (A-Z) mount, and how he uses it. 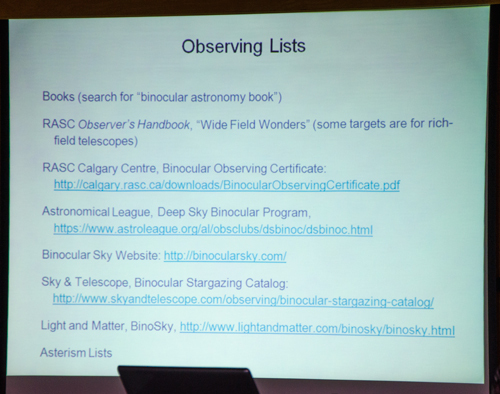 Also shown was a Dobsonian Mount [no photo]. 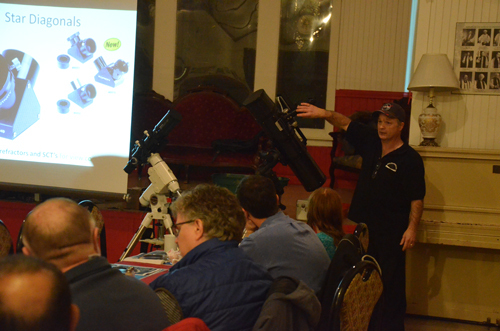 The Free Astronomy Workshop Series has ended for 2017. 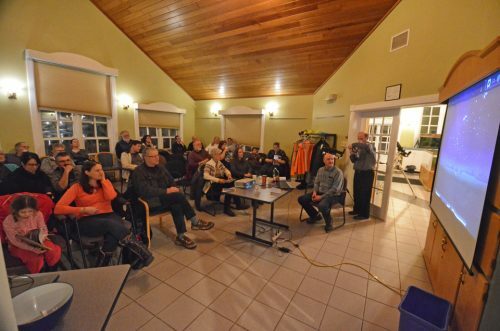 The Rockwood Park Interpretation Centre was the setting for the 6th and final in the series on June 14th. 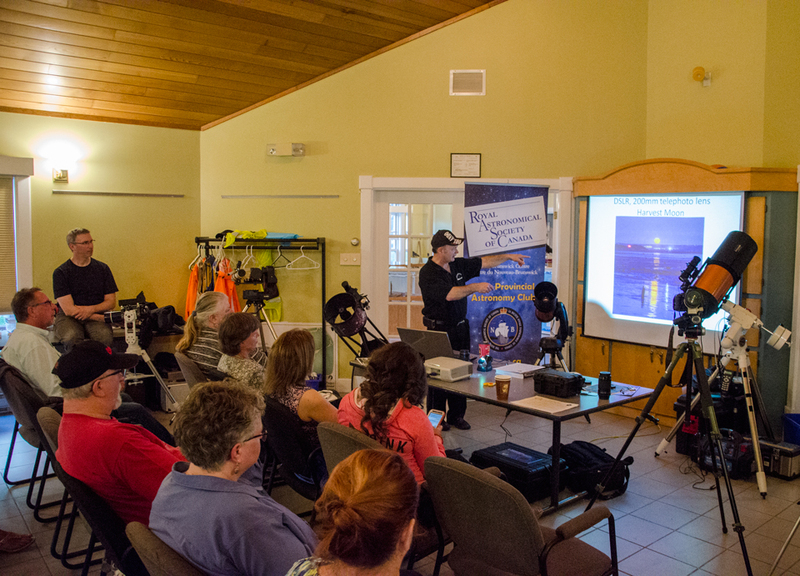 These free workshops covered information that you may not easily find anywhere else. 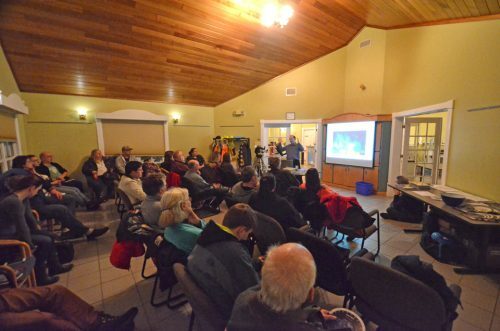 The response from the public was gratifying. 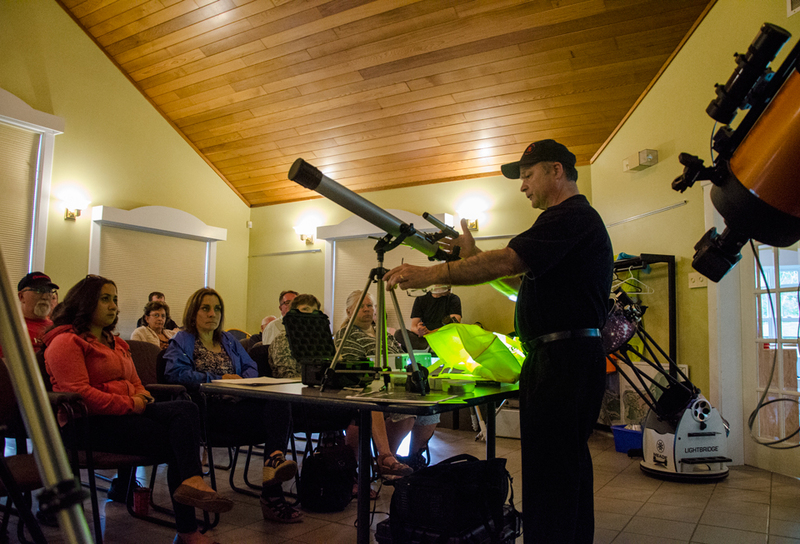 These Free Workshops were hosted by Paul Owen and the SJAC. 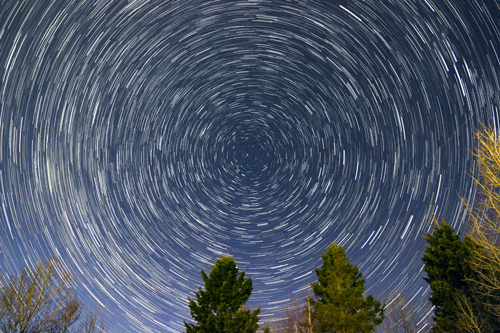 You can still ask questions about anything you are curious about or need clarification. 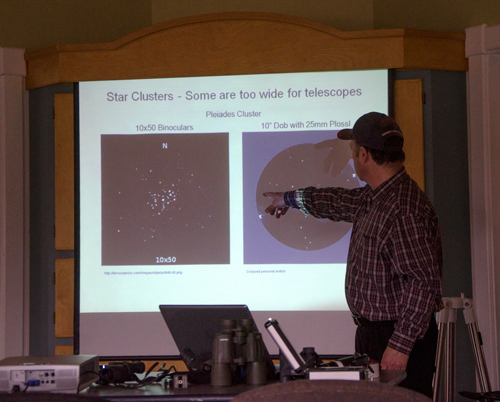 Contact the host, Paul Owen. 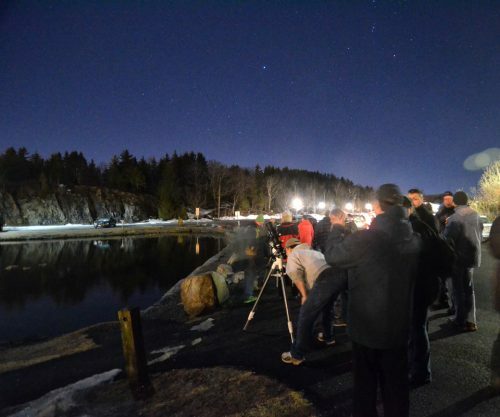 The Saint John Astronomy Club meets @ 7pm the 1st Saturday of every month (long weekends excepted) at the Rockwood Park Interpretation Centre. 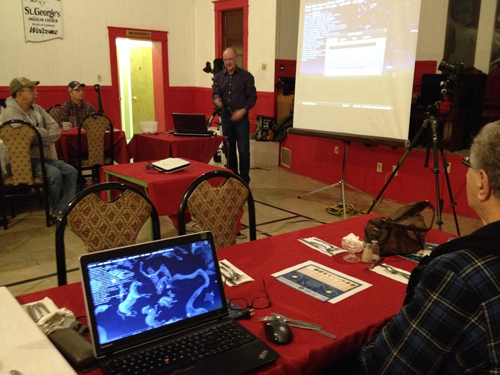 As with the workshops, all are welcome, no experience necessary. 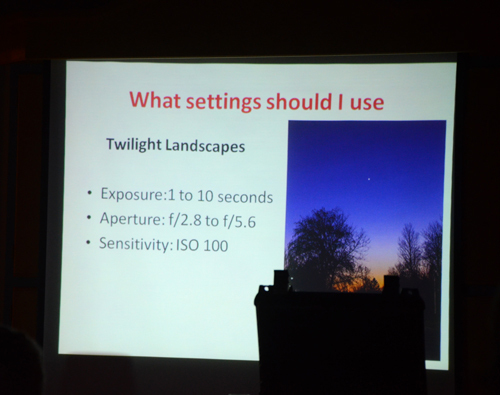 For 2018, see Night Time Imaging with Paul Owen.